Develops technical skills training materials. 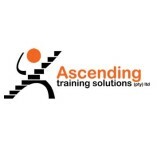 Ascending Training Solutions are focused on providing growth-centric and soft skills training materials to various companies in and around Cape Town. All their materials provided are unique and based on the business processes.